Ah, what a classic day for the propaganda machine in full force. 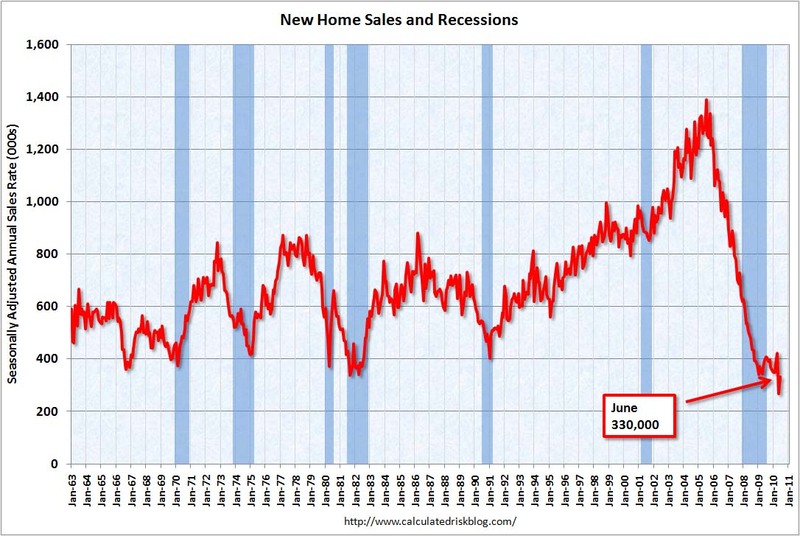 "New US Home Sales Surge In June, Inventory at 42 Year Low." 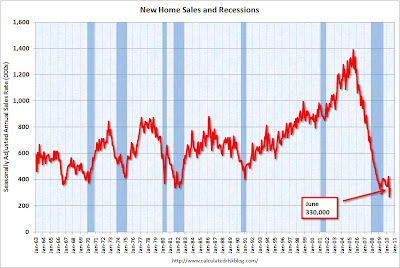 Last month (data for May) we received the lowest new home sales number in history. It was beyond horrifying. We found out this morning that the number was revised down! By 33,000 sales to 267,000. The US Homes Sales "Surge" was a month over month increase up to 330,000. This was the lowest June sales number in history. The "42 year low" inventory number is due to home builders having no access to credit to build spec houses. I continue to confirm this with multiple people I know selling new homes, who say their builder would love to build inventory homes but have no access to financing. Those same sources are telling me to brace myself for the July numbers that will be released next month. If you want a real discussion on real estate inventory please see The True Supply Of Homes.